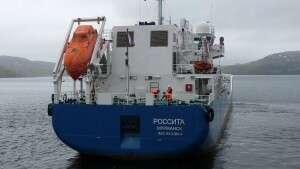 On Tuesday morning, the Rossita, an Italian ship loaded with Soviet-era spent nuclear fuel, which had been secured and packed mostly on foreign money paid to Russian technicians and engineers, left Andreyeva Bay in the Arctic bound for safer storage. Environmentalists who brought the problem to light over two decades ago were accused of spying. Non-profit groups that supported and publicized their findings on the submarine maintenance yard were labeled as “foreign agents” and harassed into shutting down. The Kremlin meanwhile continued to lob withering propaganda toward the very western governments that were sending the funding to clean up its Cold War mess. Some behind the Iron Curtain, however, understood that they were looking at a lethal monument to one generation’s paranoia that threatened to poison the next. They reached around their government’s truculence to confirm details of the nightmare: Leaky bunkers of uranium and plutonium fuel were inching toward the Barents Sea; a vast graveyard of spent nuclear submarine fuel sat neglected in what was supposed to be temporary storage for more than 30 years; still more laid outdoors and unsheltered from the harsh Arctic elements. These Russian nuclear workers Tuesday joined their counterparts from Bellona and the Norwegian government at Andreyeva Bay to see off the Rossita as it left with the first load of this newly secured spent fuel. This first shipment comes courtesy of a massive funding effort driven by the nations of the G-7 and others in Europe in 2003. France, Germany, Japan, Italy, Canada and Great Britain, joined by Finland, Denmark, Sweden, and the European Commission pooled resources for a total contribution of $70 million over several years. Russia joined with funding reaching $150 million. But Norway’s financial response dwarfed all others. Beginning as far back as 1995, the Norwegian government pumped $230 million into securing the submarine maintenance base just 50 kilometers from its own shores. 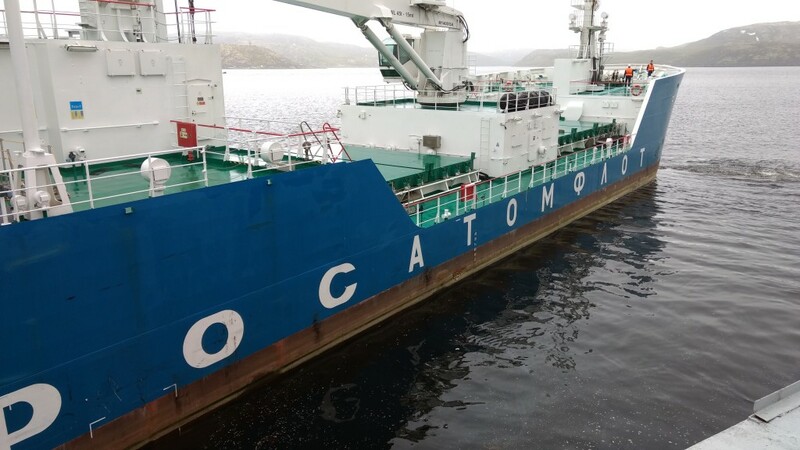 Marina Kovtun, governor of the Murmansk region where Andreyeva Bay is located, acknowledged the force of the international cooperation aimed at cleaning up the dilapidated facility in the face of international rancor. 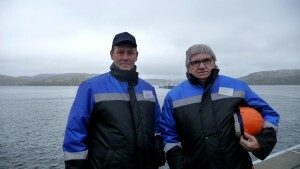 Bøhmer and Kovtun were joined by Anatoly Grigoryev of Rosatom, the civilian state nuclear corporation that took over the Andreyeva Bay cleanup from the military in 2000, and Norway’s Foreign Minster, Berge Brende. Speaking to the group, Grigoryev broke down the numbers behind the first shipment, saying the Rossita was leaving with one fiftieth of the waste it will eventually carry away. The next shipment, he said, will leave in a month. Andreyeva Bay opened in 1961, and since then accumulated 22,000 spent nuclear fuel assemblies from hundreds of the Soviet Navy’s submarines, and 1,300 cubic meters of liquid radioactive waste. Thirty years later, in 1982, a crack developed in its now-notorious Building 5, a storage pool for thousands of spent fuel assemblies. The water was drained and the fuel painstakingly moved, but that created other problems. The fuel elements from Building 5 needed somewhere to go, so they were rushed into hastily arranged storage facilities that were supposed to be only temporary. 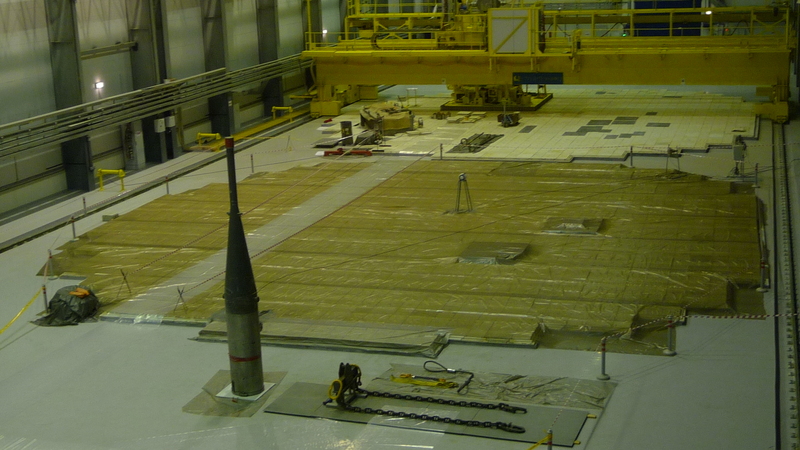 Technicians stuffed the fuel elements into three dry storage buildings and cemented them in. The temporary storage solution has now spanned the last 30 years. Some of the fuel assemblies are damaged and face a technically challenging extraction from the dry storage units. 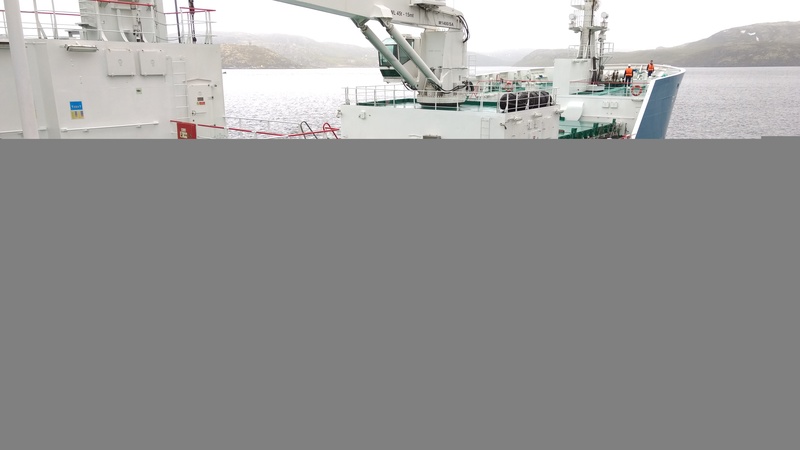 When the Rossita left Andreyeva Bay on Tuesday, it subtracted 470 fuel assemblies from the massive total. 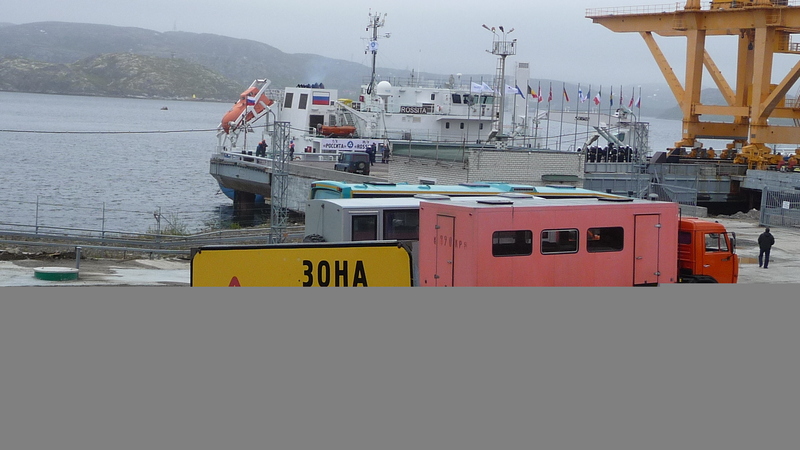 Now the ship will ply the waters between Andreyeva Bay and Murmansk for the next five years, bringing as many as 37 loads of spent nuclear fuel to a railhead at the nuclear icebreaker port, Atomflot. From there, it will be shipped 3000 kilometers south to the Ural Mountains for reprocessing. In five years, all of those spent fuel assemblies will be gone. Sticky issues around some of the damaged fuel stored in the temporary facility could take that long to solve, Rosatom’s Grigoryev told the gathering. Bøhmer agreed. Other challenges lies ahead, namely at the site where all of Andreyeva Bay’s fuel will now be stored and reprocessed, the Mayak Chemical Combine, known as one of the world’s most radioactively contaminated places. 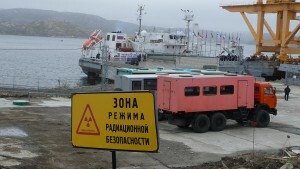 In 1957, Mayak gave Russia its first nuclear disaster, when a tank storing nuclear waste exploded. Since Mayak ramped up fuel reprocessing at its RT-1 facility in 1977, contamination has only intensified. Radioactive byproducts arising from the chemical separation of plutonium and uranium have been dumped into local rivers and lakes. Cancer rates among the local population continue to rise. The government has partially acknowledged the issue and has made stutter-step attempts to move a number of small villages away from the radioactively polluted Techa River. In the end though, those efforts only displaced villagers from one contaminated spot to another, solving nothing. 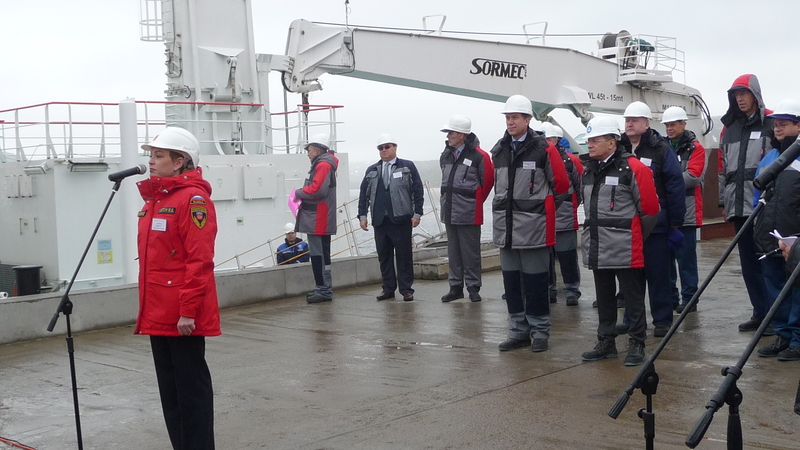 Bøhmer on Tuesday said the international coalition that grew up around addressing the issues at Andreyeva Bay will have to further focus its efforts on bringing problems at Mayak to light with the same insistence. This will not be easy. Anna Kireeva reported from Andreyeva Bay.